A class of graduate students at the University of Pennsylvania has created a plan to rebuild the Northeast Corridor as a true high-speed rail line that would transport passengers from Philadelphia to New York City in 37 minutes. Amtrak, on the other hand, has a less ambitious view of the future for the nation’s busiest rail corridor. Its new master plan calls for spending $52 billion by 2030 to cut travel time by about 20 minutes between New York and Washington and between New York and Boston. 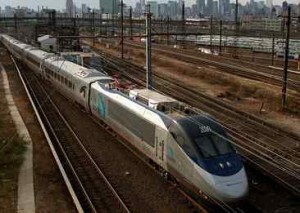 It envisions reducing travel time between New York and Philadelphia by four minutes.